The Individual Development Account program is a savings-match incentive program that can yield a 3-to-1 match of funds. 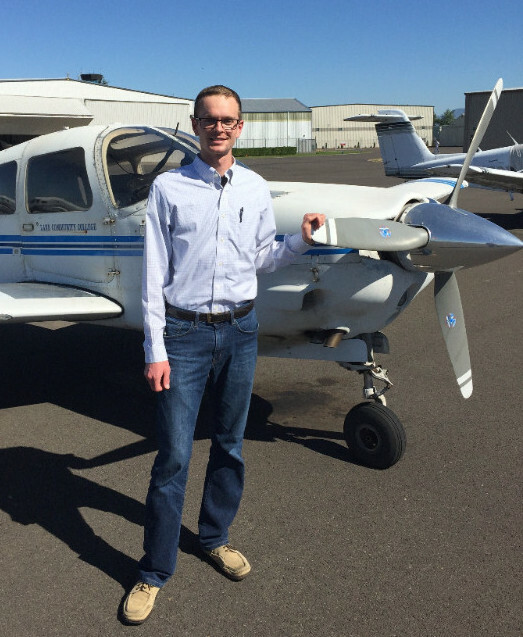 Wallowa County native Hugh Donovan recently graduated from the program, applying his savings and match to flight instruction. NEOEDD asked Hugh Donovan about his career plans, and how the IDA program helped to make them possible. Hugh: There are several different ways to earn pilot credentials in the civilian world. I'm working under 14 CFR Part 61 which allows me the flexibility I have utilized to fulfill my flight experience requirements at a variety of locations. Lane Community College offers both the fully structured curriculum and lessons on an individual basis. I schedule lessons and airplane time with my instructor, and we work through the various areas of proficiency. Provided I've completed the required written knowledge test, meet the experience requirements, and have been recommended by my instructor for a new rating--I can schedule a test with a FAA representative. I'm currently working on my commercial pilot license which I expect to complete within the next month! Once I finish that, I'm going to start working on becoming a certified flight instructor. I haven't decided exactly where I want to end up in the aviation world, but it's a good time to get into the industry. Primarily I'm thinking of bush flying, and maybe I'll go to the airlines later on. N: You grew up in NE Oregon? H: I grew up in Enterprise, where I have been interested in all things connected with flight from a young age. When I was two or three years old, David Lundquist flew over our house out on Zumwalt with his ultralight, and I remember thinking, "I want to do that!" I got the Microsoft Flight Simulator for Christmas one year from my dad when I was around 10 years old. I started taking flying lessons from Joe Spence when I was 15. I mowed lawns to earn money to buy, build, and fly model airplanes. My enthusiasm for flying eventually helped me get a job at the local hobby shop, where I could apply my passion and be around people who were also passionate about aviation. I've worked a variety of jobs since, but my goal has always been to fly. N: Why did the IDA program appeal to you? H: It allowed me to multiply my savings, and I was able to fund all of my airplane instrument training through the IDA program. 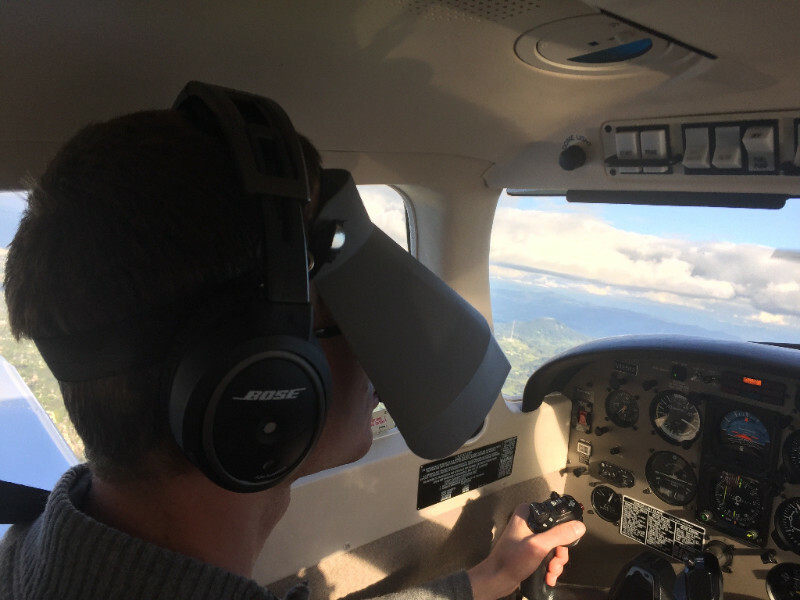 It really took the stress out of getting back into flight training and will have helped me get to a point where I can work as a professional pilot without having to go into debt! The program gave me the confidence and momentum I needed to start an intimidating project. N: Did NEOEDD staff do a good job of ushering you through the program? H: Yes! Whenever I wasn't sure what to do about paperwork or arranging payments, it was easy to sort out with a quick phone call. N: Would you recommend this program to people? Why? H: Yes, I recommend the IDA program to anyone who might be eligible and wants to fund one of their ambitions. There is no risk involved and the payoff is huge! Additionally, it's another way to connect with people who will support you or help you find the support you need to do the things you want to do. If you are interested in the IDA program, visit our website for more information, and then contact Lisa, Sara, or Kristy at the NEOEDD office. 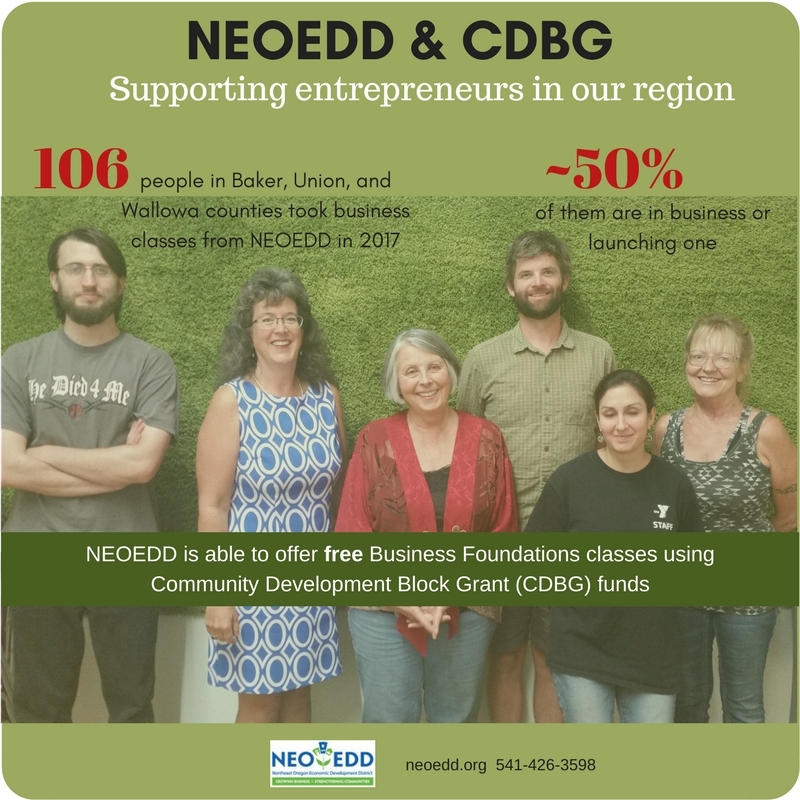 More than 125 people in Baker, Union, and Wallowa counties have helped finance their higher education or small business using the Individual Development Account (IDA) program, offered by Northeast Oregon Economic Development District (NEOEDD). IDAs provide a 3-to-1 savings match—someone who saves $1,000 and completes the program will receive an additional $3,000. Up to $12,000 total! Most savers are adults, but children 12 years or older who live in households with low-to-moderate incomes are also eligible to enroll. For example, a 15-year-old saving for college could enroll in the program, save money for three years and graduate high school with funds for tuition and fees at any accredited education program. Youth can also save to start or improve a business. NEOEDD has leveraged more than a half-million dollars that have circulated into our region via the IDA program. Once accepted, program participants receive free education or business-planning and money-management classes, helping them build fiscal responsibility and saving habits that can last a lifetime. Anyone who is interested in learning more about this program and how to apply can visit NEOEDD’s website, or call the office at 541-426-3598. Rural Oregon's nonprofit organizations are exploring how diversity, equity, and inclusion (DEI) can build understanding, strengthen mission impact, and ensure public benefit. To this end, NEOEDD is organizing a series of roundtable discussions for regional nonprofit board and staff to learn, share, and discuss DEI methods and strategies. Fourteen people participated in the first DEI nonprofit roundtable in October. The evaluations were positive and one participant summed up the session this way, "[I was] totally impressed with the attendees, and the presenter was a wealth of knowledge and info." The next roundtable will be held Dec. 6, 2017; others are planned for Feb. 7, May 2, Aug. 1, and Nov. 7, 2018, and Feb. 6, 2019. The Dec. 6 session will be held in La Grande from 10 a.m. to 2 p.m., including lunch, and will again be led by Andrea Cano, a seasoned facilitator and intercultural specialist who has worked with Oregon Humanities, Meyer Memorial Trust, Oregon Solutions, Nonprofit Association of Oregon, Providence Center for Health Care Ethics, and the Immigration and Refugee Center for Oregon. She recently completed a six-year, governor-appointed post on the State of Oregon's Commission on Hispanic Affairs, and co-chaired the governance process for the New Portlander Policy Commission. The December 6 session will focus on assessing your organization's progress in addressing DEI within programs and at the governance level. The assessment will be followed by a discussion of approaches, strategies and sequences to implement different elements of DEI. Participants will be asked for input about the specific topics and location of future roundtables, which could take place in Baker, Wallowa or Union counties. The cost to attend is $25 per person per roundtable discussion. Click here to register, by November 27 so that you will have enough time to complete the homework and submit it to the facilitator. Scholarships are available; please inquire at NEOEDD, 541-426-3598. What Does Diversity, Equity and Inclusion (DEI) Mean? DEI is an ongoing effort to create opportunity for everyone, in the workplace, in nonprofit leadership, in economic and community development, and as beneficiaries of programs and services. Diversity means celebrating people with all gender identities, religions, races, sexual orientations, abilities, ages, and national origins. 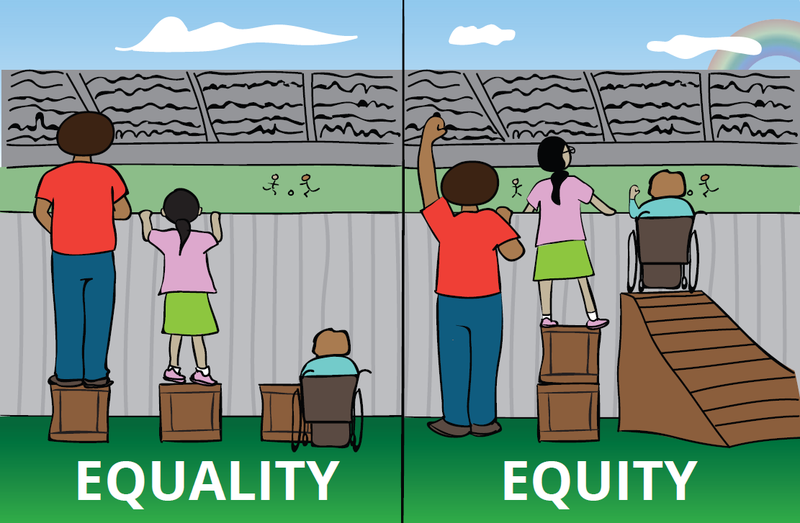 Equity means adding or removing policies and programs in order to create a "level playing field." Inclusion means going out of our way to make sure that leadership and staff, as well as those served by an organization, feel safe, respected and valued. DEI doesn't just happen–it requires active participation by all members of a board and organization. SAIF presents a free half-day farm safety seminar on Nov. 1 at 9:30 a.m. in La Grande. Click here for more information. Travel Oregon presents "Travel Oregon 101" webinar Nov. 2 at 5 p.m. Click here to register. SBDC and others offer Farm/Ranch Succession Planning workshops Nov. 2, 16, 30, and Dec. 14 at 6:30 p.m. For more information or to register for virtual classroom, contact Kathryn at 503-594-0738 or email. State legislators Bill Hansell and Greg Barreto will hold a town hall on Nov. 5 at 5:30 p.m. at the Wallowa County Chamber of Commerce. BMCC SBDC offers a 4-part "Accounting Principles" workshop series Nov. 7, 9, 14 and 16 at 6;30 p.m. in Enterprise. Cost $59. Click here for more information. BMCC SBDC offers "Tune Up Your Website" workshop Nov. 9 at 8 a.m. in Baker City. Cost $59. Click here for more information. BMCC SBDC hosts a PubTalk Nov. 8, 5:30 p.m., "Powder River Correctional Facility" at Lefty's Tap House, 1934 Broadway St. in Baker City. Oregon Tourism Information System, or OTIS, is a collaborative platform used for sharing and maintaining Oregon’s tourism assets. To receive webinar-based training on how to use this program on Nov. 13 or 15, click here. Baker County Business Round Table and Baker County Employer Council meet the second Tuesday of the month (Nov. 14) at 8 a.m. at The Little Bagel Shop. Call the Chamber of Commerce office at 541-523-5855 for more information. The OR Restaurant & Lodging association presents Women & Leadership: A Professional Growth Conversation Over Whiskey, Nov. 15 at 5 p.m. in Portland. Click here for more information. BMCC SBDC offers "Marketing Basics" workshop Nov. 16 at 10 a.m. in Baker City. Cost $39. Click here for more information. WSU's Women in Agriculture conference will be Nov. 18 with a satellite location at OSU Extension (10507 N McAlister Rd.) in La Grande. Click here for more information. BMCC SBDC offers "Marketing Basics" workshop Nov. 28 at 6:30 p.m. in Enterprise. Cost $39. Click here for more information. BMCC SBDC offers "PR vs. Advertising" workshop Nov. 29 at 10 a.m. in Baker City. Cost $59. Click here for more information. Wallowa County Chamber Citizen Awards nominations are due Dec. 1. Click here for the nomination form. NEOEDD's board meetings are open to the public. The last meeting of the year is Dec. 7. Contact the NEOEDD office at 541-426-3598 for more information. The USDA Value Added Producer Grant (VAPG) program helps agricultural producers enter into value-added activities related to the processing and/or marketing of new products. Due Jan. 24, 2018. Click here for more information. The 2018 Oregon Community Food System Network Convening will be Mar. 19-21, in Silverton. Click here for more information. Oregon Governor's Tourism Conference will take place Apr. 29 to May 1 in Bend. Registration will open in Jan. 2018. Rural Development Initiatives' Regards to Rural conference takes place May 18-20 in Portland. This year's theme is "Bridges Between Rural and Urban." Click here for more information. WorkSource Eastern Oregon will staff an office in Enterprise Wednesday and Thursday every week from 10 a.m. to 2 p.m. at the Prairie Creek Center, 104 Litch St. Weather permitting from Dec. through March. Closed Nov. 23, 2017. Farm Service Agency's Livestock Indemnity Program offers payments to eligible producers for livestock death losses due to adverse weather. Click here for more information, or contact regional offices: Baker City 541-523-3621; La Grande 541-963-4178; Enterprise 541-426-4521. Check out NEOEDD's website calendar for more upcoming events. Northwest Farm Credit Services' Rural Community Grant Program funds projects such as building or improving facilities; purchasing equipment to facilitate a program; and funding capital improvements. Rolling deadlines are Oct. 1, Feb. 1, Jun. 1. Click here for more information. Wildhorse Foundation grant deadlines are Oct. 1, Jan. 1, Apr. 1, Jul. 1. They fund projects in a variety of areas in Morrow, Umatilla, Union and Wallowa counties, and with Tribal entities. Click here for more information. USDA NIFA Small Business Innovation Research funds up to $100,000 are available for a Phase I project. Proposed projects should prove the scientific or technical feasibility of the approach or concept. Deadline Oct. 5. Click here for more information. Travel Oregon is accepting proposals for the 2018-2019 project beneficiaries of the Travel Oregon Forever Fund. Deadline Nov. 10. Click here for application form. Soroptimist International of Wallowa County offers Live Your Dream scholarships to female primary wage earners for education or job training. Deadline Nov. 15. Call Gail at 541-426-4357 or email for more information. The Oregon Cultural Trust has coalitions in all Oregon counties and Tribes that distribute arts and humanities grants within the community. In Union County, the deadline is Nov. 1; click here for more information. In Baker County, the deadlines are Dec. 15 and May 15; click here for more information. In Wallowa County, the deadline is "in Spring;" click here for more information. Grantspace offers an Introduction to Finding Grants webinar Dec. 6 at 11 a.m. Click here for more information. Western SARE Farmer/Rancher Research & Education grant proposals are due Dec. 6. Click here for more information. Western SARE Professional + Producer grant proposals are due Dec. 6. Click here for more information. Oregon Community Foundation's Community Grant Program addresses community needs and fosters civic leadership and engagement. Rolling deadlines are Jan. 15 and Jul. 15. Click here for more information. USDA Value-Added Producer Grant applications are due Jan. 24. Click here for guidelines. The Reser Family Foundation's rolling deadlines are Feb. 1 and Aug. 1. The foundation's focus areas are education, health, arts and environment. Click here for more information. U.S. Bank grants are available to support three focus areas: Play (open Feb. 1 to Mar. 31; click here); Work (open Apr. 1 to May 31; click here); Home (open Jul. 1 to Aug. 31; click here). Oregon Arts Commission's Career Opportunity Grants have rolling deadlines of Apr. 5 and Aug. 31. Click here for more information. USDA NIFA Small Business Innovation Research encourages projects dealing with agriculturally related manufacturing and alternative and renewable energy technologies to explore all SBIR topic areas. Click here for more information. The Ford Family Foundation offers a number of grants to rural Oregon. Click here for more information. Meyer Memorial Trust is currently focused on efforts to promote equity and inclusion. Click here for more information. The Leo Adler Foundation supports projects in Baker County. Click here for more information. GrantSpace offers tools, webinars and other fundraising resources. Click here to visit their website. There are many more grant opportunities listed on the Oregon Secretary of State Grants website, which is here. OR Farm Bureau's Young Farmers & Ranchers Committee invites members aged 16-35 to attend a Leadership Conference Nov. 11-12 in Salem. Fee $40. Click here for more information. OR Wheat Foundation offers scholarships to high school seniors who are children of members or staff. Application deadline: Feb. 1, 2018. Click here for more information. The Women in STEM Study.com Scholarship gives one girl and one woman pursuing a STEM undergrad degree $500 toward tuition. Deadline is Apr. 1. Click here for more information. Portland State University offers free tuition for eligible freshmen. Click here for more information. The Leo Adler Foundation offers scholarships to students at North Powder HS and in Baker County. Click here for more information. The Oregon State Capital's Honorary Page program welcomes students aged 12 to 18 to be sworn in by the Sergeant-at-Arms, perform duties on the floor of the House, run errands for the Chief Clerk's office, observe committee meetings and more. Click here for more information. Oregon Trail Electric Cooperative offers an annual Youth Tour to Washington, D.C. Click here for more information. Oregon Trail Electric Cooperative offers college scholarships. Click here for more information. The American Civil Liberties Union offers a Summer Advocacy Institute program for high school students. Fee $2,500; financial aid is available. Click here for more information. Scholarships for women are listed here. Scholarships for undocumented students are listed here. Federal delegates offer internships to college and graduate students in their Oregon and Washington DC offices. For Congressman Greg Walden, click here. For Senator Ron Wyden, click here. For Senator Jeff Merkley, click here. Northeast Oregon Area Health Education Center publishes a Field Guide to Health Careers. Click here for more information. EOU offers a networking group for students called the Millenial Community. Students interested in joining should email Shari Carpenter, associate professor of business, here. Business Oregon offers unpaid internships in International Trade Internship program, which takes place in Portland. Click here for more information. FAFSA, the Free Application for Federal Student Aid website, is here. In June and July, Community Bank offers the Earn While You Learn program, which offers students who have an account at the bank money to reward good grades. Check with your local branch for more information. 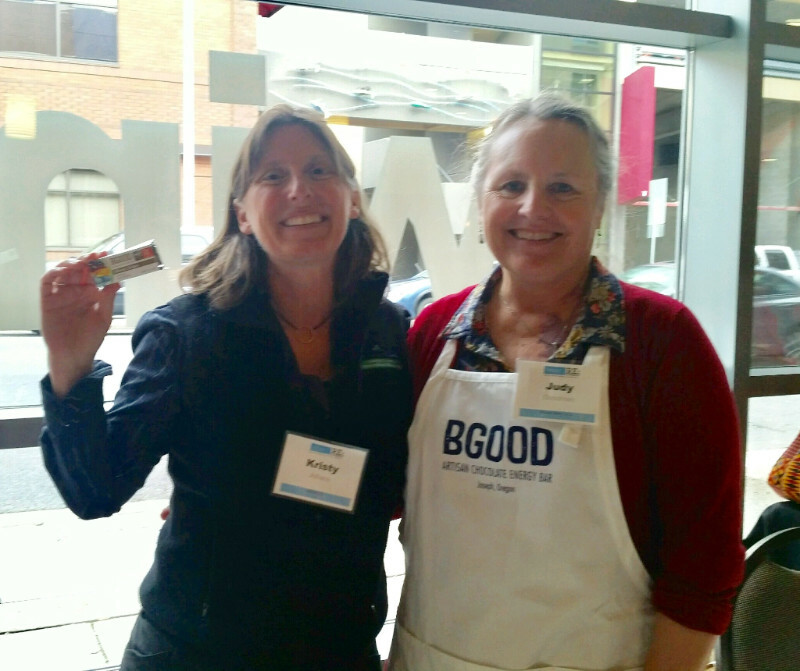 Oregon Community Food Systems Network, a collaboration of nonprofit organizations and allies dedicated to strengthening local and regional food systems to deliver better economic, social, health and environmental outcomes across the state, seeks members and business affiliates. Click here if you would like to make your business Bike-Friendly and take advantage of Travel Oregon's program. Click here to take advantage of Oregon's rising Chinese tourism with Travel Oregon's China Ready online training modules. The M.J. Murdoch Charitable Trust offers an intensive "Essentials of Development" mentorship program for nonprofit leaders. Cost is $500. Click here for more information. Eastern OR Workforce Board offers the Incumbent Worker Training Program to assist manufacturing and health care companies in re-training their current employees. Contact Eric Labonte at 541-963-7942 for more information. The Union County USDA Farm Service Agency is sending notifications via text message. Text "ORUnion" to FSANOW (372-669) to subscribe. Learn more about the USDA's Microloan program for small farmers here. HatchLab Baker is a center for entrepreneurs that provides programs, resources, tools, and expertise for entrepreneurs starting or running a business. It is also a place to work in Baker City, whether it's for a day or a year. Click here for more information. Business Oregon offers an Export Promotion Program for Oregon manufacturers who want to expand their market. Click here for more information. Nonprofit Assoc. of OR released the 2016 Northwest Nonprofit Capacity Report: Our Strengths - Our Challenges - Our Resilience using survey data from more than 1,000 nonprofits in Alaska, Idaho, Montana, Oregon, and Washington. Click here to download. Are you a business owner who wants to help Travel Oregon support projects that maintain what's unique about Oregon? Join TO's Forever Fund here. And, view TO's latest statewide tourism survey report here. The U.S. General Services Administration issues a number of innovation challenge grants. Click here to view current challenges. Nonprofit Assoc. of Oregon and The Ford Family Foundation offer free one-year memberships to rural nonprofits. Click here for the application. Farm Commons offers a number of legal resources for people in agriculture. Click here for more information. USDA has a new service, FSAFarm+, that provides producers the ability to remotely access their personal farm information using a home computer. Contact your Farm Service Agency for more information--Union County 541-963-4178, Baker County 541-523-7121 x2, and Wallowa County 541-426-4521 x2. Northwest Trade Adjustment Assistance Center offers up to $75,000 of matching grant funds for "Made in America" products. Click here for more information. Looking for a job? Try the Oregon Dept. of Employment's job listings. Click here for more information. Lowry Job Development Services is based in Baker City; call them at 541-519-4343. Mac's List is another great resource, though most of its listings are for the Portland area. Click here for more information. Check out NEOEDD's Resources page for more information. and communities in Baker, Union and Wallowa counties. Copyright © 2017 Northeast Oregon Economic Development District, All rights reserved.